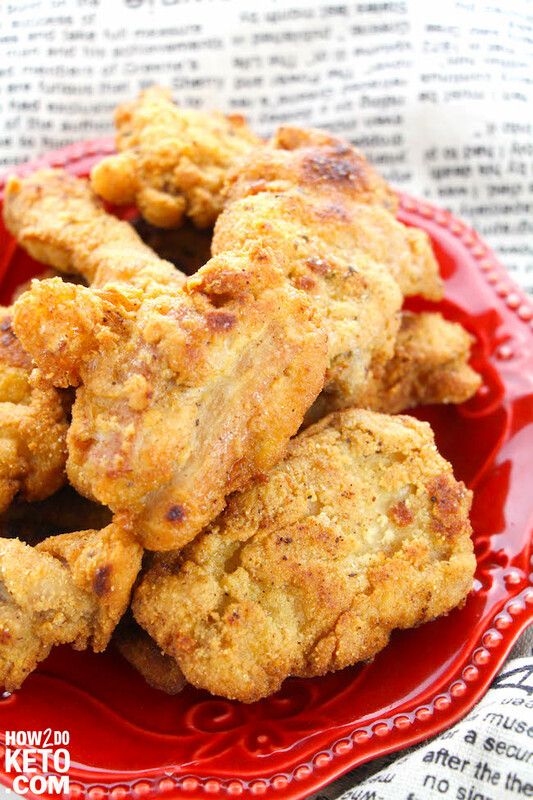 A deliciously crispy (and guilt-free) copycat version of KFC chicken tenders. As a kid, anytime I went to a restaurant I ordered chicken tenders. I never got tired of them! Even as a grown-up, I still have a soft spot for the crispy chicken strips that I loved so much in my youth. The only problem is that chicken strips are usually heavily breaded and not keto-friendly. This Keto Chicken Tenders recipe uses an almond flour batter and a spot-on copycat KFC seasoning mix for the perfect crunch…without all the carbs! My inner child is happy again! Related: If you love KFC’s extra crispy recipe, you’ve got to try our crispy Keto Crackle Chicken too! It’s got ZERO carbs! 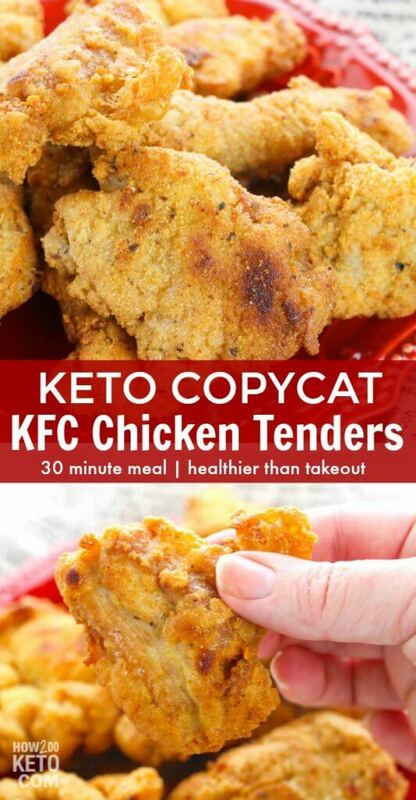 For your convenience in re-creating our Keto Copycat KFC Chicken Strips at home, we’ve included shop-able ad links to some of the products and supplies used. Read our disclosure policy here. 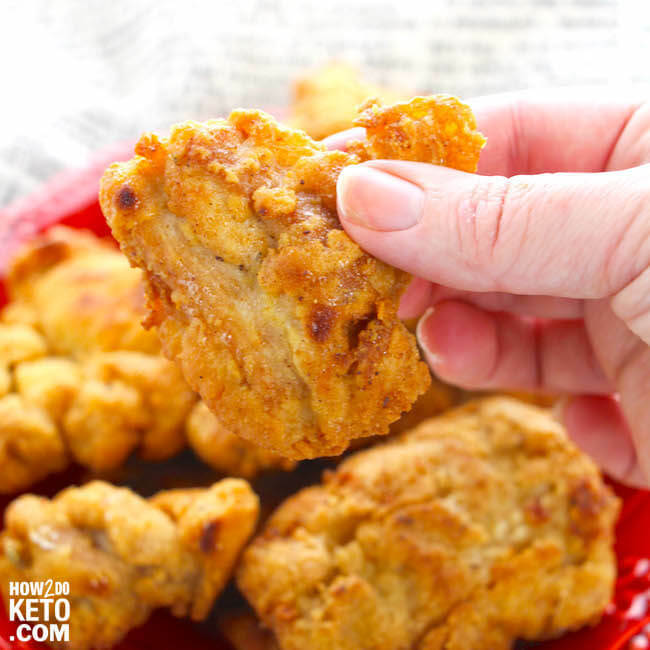 The above is a quick glance at the ingredients and tools needed to make this Low Carb Copycat KFC Chicken Strips recipe. Full ingredient amounts are available in the printable recipe at the bottom of the post. Make a double or triple batch of our Copycat KFC seasoning and save the extra to use another time! 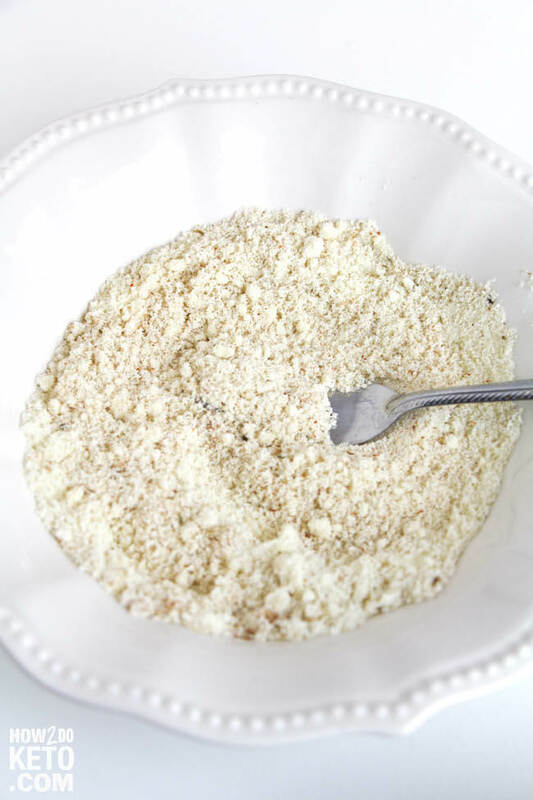 You may want to do the dredging in batches, as the almond flour gets wet and clumpy quicker than all-purpose flour. We used 3 batches of almond flour mixture for our chicken tenders. 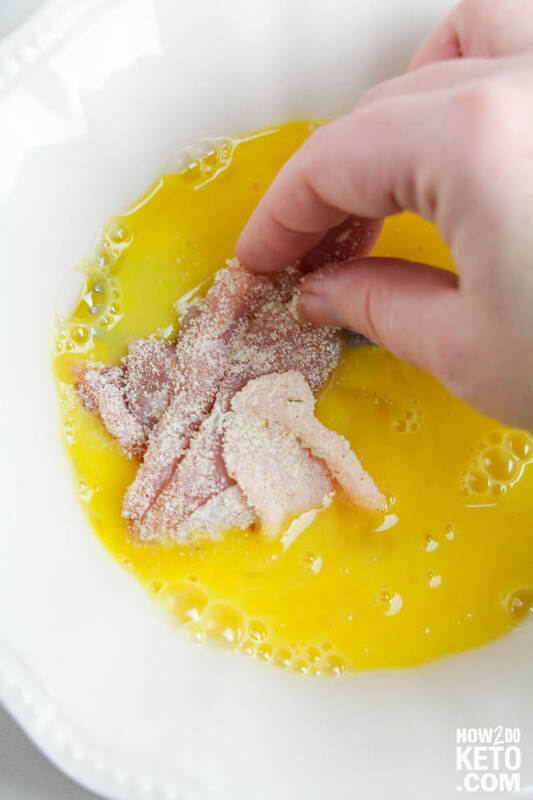 If you don’t have a deep fryer at home, you can also use a dutch oven to fry up your keto chicken tenders. Pairing Tip: Make it a meal with our Pesto Keto Cauliflower Mashed Potatoes! Related: See all of our Keto Dinner Recipes here! Pour oil into a heavy pan (like a dutch oven) or deep fryer. Begin heating oil on medium while you prepare the chicken tenders. 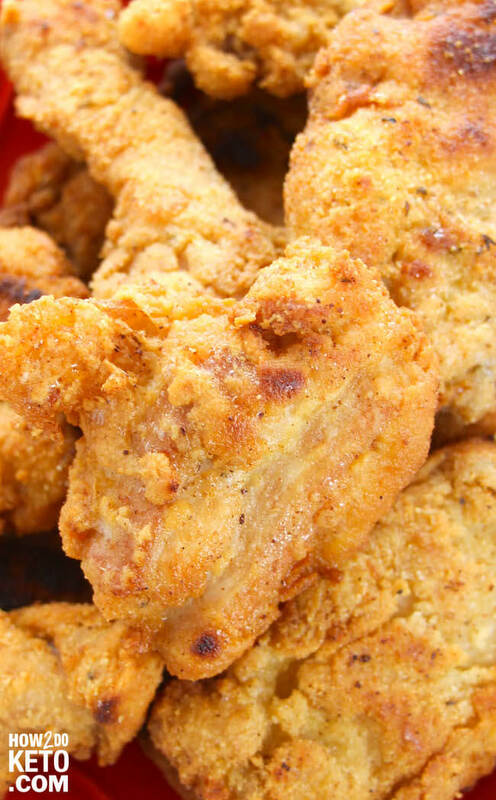 Combine 1/2 cup of the almond flour with 1 teaspoon or more of the KFC seasoning in a small mixing bowl. When the oil is hot, add 3 pieces of chicken at a time and allow to cook for 4-5 minutes each, until cooked through and golden brown, flipping halfway through. Place chicken tenders to dry on a plate lined with paper towels. Repeat process until all chicken strips are cooked. 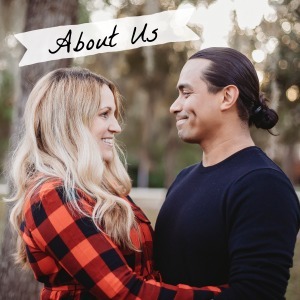 Note: Nutrition information is a rough estimate only; actual values will vary based on the exact ingredients used and amount of recipe prepared. Cooking oil is not factored into nutrition information.